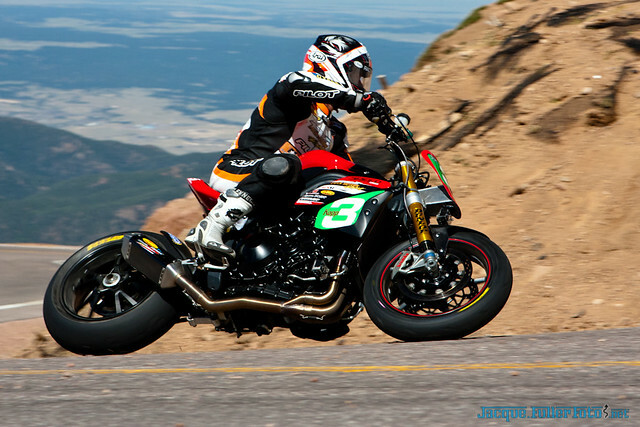 Take a ride up Pike’s Peak in the 2011 Race to the Clouds. Joe Kopp with Latus Racing takes a souped up Speed Triple to the top, and takes 2nd place. “Sign me up, I don’t care what I ride, I’m game”, declares Kopp. “And if the mountain doesn’t want to give you a good run because of road conditions, that’s what you gotta get past. You compete against the mountain.” adds Sonny Anderson, Motorcycle Referee, Pikes Peak International Hill Climb. Kopp’s previous run in 2008 had bike troubles as, “it wouldn’t compensate for that altitude…huge problem with any high performance motor up there on that mountain”. However, with the Triumph, it was running strong and dialed in. Joe turned in an official time of 11:26.530, placing first in the Exhibition Powersport category, and the 2nd fastest motorcylist up the mountain. 2011 Hagerstown Half Mile AMA Pro Flat Track from TheFastandDirty.com on Vimeo. 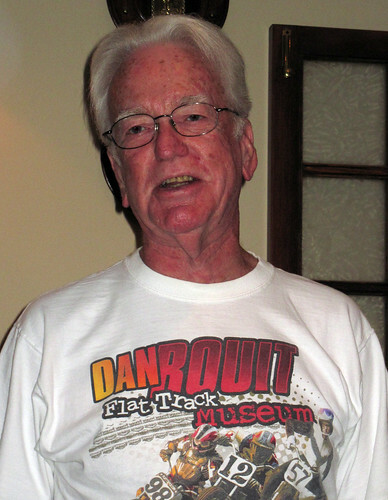 America’s original motorcycle sport, Flat Track, on display at the Hagerstown 1/2 Mile in Hagerstown, MD. Watch highlights of all the Harley-Davidson Insurance AMA Pro Flat Track action, as the top riders battle wheel to wheel. Go to AMAProRacing.com to see a full schedule of events and find a race near you! Excellent footage and editing by the Fast and Dirty team. Great job! Motorcycle speedway, usually referred to as speedway, is a motorcycle sport involving four and sometimes up to six riders competing over four anti-clockwise laps of an oval circuit. Speedway motorcycles use only one gear and have no brakes and racing takes place on a flat oval track usually consisting of dirt or loosely packed shale. Competitors use this surface to slide their machines sideways, powersliding or broadsiding into the bends. On the straight sections of the track the motorcycles reach speeds of up 70 miles per hour (110 km/h). Speedway, a racing event from Gustaf Johansson on Vimeo. Short Track: The Digger Helm National from Peckhammer on Vimeo. Digger Helm and Eddie Mulder combine forces each September to put on The Digger Helm National. Mulder has described this Flat Track race as a fist fight in the bull ring. There’s lots of physical contact, and lots of sideways racing. If you’ve never seen one of the oldest forms of motorcycle racing in this country, you owe it to yourself to check it out. Don’t expect to see a bunch of gray haired old farts puttering around in the dirt. These racers move. And there is plenty of young blood out there too, from the youth division right up to contemporary National-level racers such as Joe Kopp and Jared Mees.